Tokyo Electric Power Company (TEPCO), the company which owns and operates the now defunct power plant, announced Thursday that radiation inside the containment vessel of one of the plant’s failed reactors has now reached levels undetected since the disaster first occurred in 2011. Radiation inside the reactor has reached 530 sieverts per hour, a drastic increase from the previously recorded 73 sieverts per hour recorded in the aftermath of the meltdown. 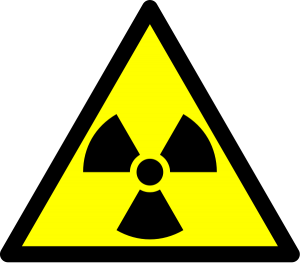 The level of radiation is so high that an official of the National Institute of Radiological Sciences told the Japan Times that medical professionals have never considered dealing with this level of radiation in their work. Images from the Fukushima Daiichi nuclear power plant’s No. 2 reactor revealed a hole thought to be made by fuel leaking out of the pressure vessel, according to Nikkei Asian Review. Plans have been made to send a robot into the area to survey the damage as the true extent of the structural damage remains unknown. However, previous attempts to use robots to gauge damage or seal breaches at Fukushima have failed. Several robots were deployed to seal a breach in another containment vessel, which continues to release 300 tons of radioactive water a day into the Pacific Ocean. Due to the high temperatures present, all of the robots were rendered nonfunctional and unable to complete the task. TEPCO has yet to state the expected impact of the radiation spike or the potential consequences of the nuclear fuel leak. The company is expected to detail its plan for containment and offer more details regarding the impacts of this latest development in the coming week. However, given that TEPCO admitted to “covering up” the impact of the initial disaster with the full complicity of the Japanese government, it remains to be seen if they can be taken at their word. With permission from True Activist. Editor’s note: The Fukushima nuclear disaster, six years old and counting this month, requires the full concerted attention and efforts of the world’s leading nations, most prominently those of the United States, to initiate a massive containment and mitigation plan, one that TEPCO and the Japanese government have proven incapable of implementing.